Our World. What does that mean? It can mean a great many things, and those meanings greatly depend on our worldview. Worldviews start shortly after birth, growing in size and detail as we age; the lens shaped by our surrounding culture formed through our environment. To better understand our current worldview, its impacts and how, if need be, to change it for the better we need to know how our world got to where it is in the first place. Every society began with the most basic structure, subsistence tribal living with our world and resources immediate and familiar. Many cultivated self-sustaining gardens, commonly called food forests. Some still continue this way of life. Forests are a vital livelihood support system for people in the Chattisgarh tribal area. 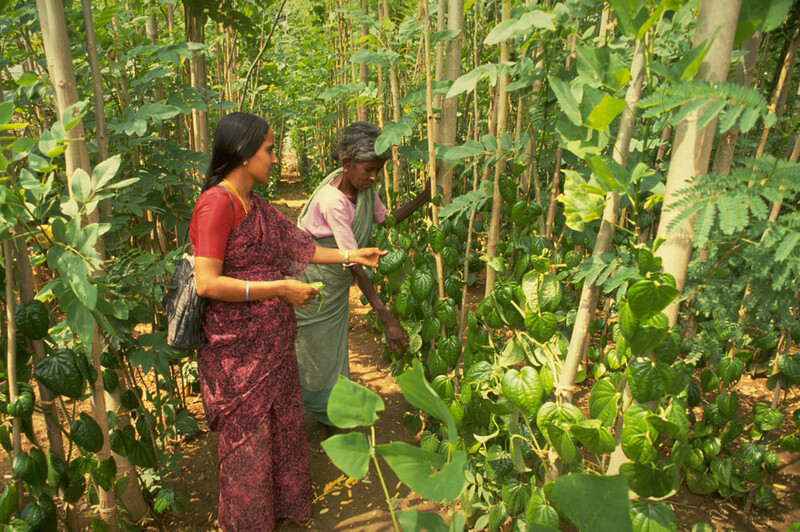 Image Source: The importance of forest products for tribal women in India. IFAD. Through exploration, trade and conquest, nations develop, expanding our world and resources, increasing influence, affluence, social stratification and innovation. Social stratification is amplified as the more affluent gather more influence by insinuating control over resources or outright taking by force. Affluence enables scholarly pursuits that buildup knowledge resources and encourages innovation. Even while not knowing what’s beyond the oceans, scholars are able to obtain a worldview that encompasses a planet and beyond. Yet with high status exclusiveness and war, this knowledge and its innovations become lost. Imperial collapse contracts our world to a tribal level, and renewal of exploration, trade, conquest, and scholarship expands it again. Scholarly resources return and when they become more openly shared, while social stratification remains, knowledge becomes selectively restricted by those of influential high status to ensure their influence continues that of which perpetuates social stratification. Exploration, trade and conquest goes on, producing new innovations in ships that allow for armed fleets to explore and conquer what lay beyond the oceans. Lands are discovered, so far and foreign as to be considered new and other worlds. These new worlds become part of our world that again further our resources, innovation, affluence, influence, and social stratification. Large impoverished populations resulting from extreme social stratification become available for cheap labour along with new industrial innovations sets-off mass industry. This causes increases in demand, that increases resource exploration, furthering innovation that exponentiates further demand, resource extraction and innovation. The fortunate of the common people accumulate commodities, scholarship and influence, reaching a quality life once limited to high status, establishing the middle class. The increase in middle class influence leads to more political rights, deteriorating social stratification and develops into a movement for human rights. Our world becomes a human world – sharing needs, wants and experiences with people all over the planet. As each nation attains human rights and regulates for a healthy environment, mass industry moves to where mass cheap labour and unobstructed industrial practices can be found. Thus ensuring maximized profits for their shareholders and therefore their continued existence. Continued exploration, trade, scholarly pursuits and war established innovations for our first forays off planet – once again voyaging with new ships to new worlds. Only that, for the first time ever, we see our whole world from the outside. When looking back our knowledge that our world is a planet fully materializes. We realize we’ve reached the ultimate outer boundary, that our world isn’t just a human world, but a world covered in life we share this planet with, and all of us have no where else to go. From space we can see large cities, mines, roads, and industries feeding into a vast network of human civilization enveloping the planet. The impacts we’ve found from this social structure is alarming for our well-being now and in generations to come. The more we learn, the more we find that we have massive impacts on the planet, all the way to our planet’s climate. Looking through the history of how we got to this point we learn a great many things that can help us. One of which is that as we have expanded where our resources come from, we’ve also become more disconnected with our environment our resources come from. Because of this disassociation, and thus any negative impacts that may arise in our connections with it, we end up with a worldview and culture that is instead associated with the system that supplies our resources. This is the root of all the harmful impacts to our planetary well-being. So the first thing to do is figure out how we connect to our resources, what their impacts are and from there ensure we make positive connections. After having your impacts fleshed out, take an outside perspective; from your current impacts what can you infer on what your worldview is? Studying these impacts can sometimes reveal some uncomfortable realizations, particularly what we believe to be our worldview may not be what is expressed in our actions, and may instead be expressing an entirely different worldview from what we had believed. But it is by looking at how we can obtain our resources in a way that ensures a healthy planet that you can change the outcome from oblivious exploitation to symbiotic interaction. The answers to these questions can be changed to be very simple and non-conflicting to the health of our planet through a very basic approach – keep it close, open source, and in a way that brings it back to you. Meaning that what we source for our needs should be as close as reasonably possible (like that of a subsistence tribal social structure, which had seen eons of successful management because we are able to respond directly, immediately whenever something arises, efficiently securing more environmentally sound outcomes); That everything about it should be publicly known (avoiding selectively restricted knowledge that gives more influence to the affluent, which encourages social stratification); And what its made of is reusable and completely recycled, be it remanufactured or recycled in the ecosystem (Working with how Nature functions instead of against it as how a tribal social structure would function). This is also referred to as regenerative design. Regenerative design would eradicate the landfill – no more garbage, just by-products. Image Source: Cradle to Cradle: Remaking the Way We Make Things is a 2002 non-fiction book by German chemist Michael Braungart and U.S. architect William McDonough. The closest sphere of influence for positive change is to supply yourself from your immediate environment by way of: A Yard Garden – which can include small livestock for food and materials, such as honey, wool from miniature sheep and chicken eggs; A Community Garden – This can include a Sheep or Pig Club; A Patio/Indoor Garden – This is a potted garden for apartment dwellers and can easily include fruiting shrubs and trees, such as citrus trees which can live and provide fruit happily in a small pot. 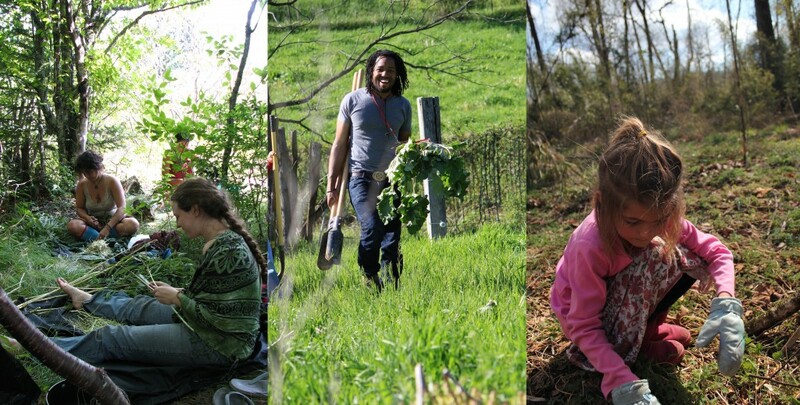 All of these have been done in an urban landscape and is usually referred to as urban homesteading or urban permaculture. With these resources and the right scholarly resources you can develop skills to make what you need from them. For this there are things such as Makerspaces and Tool Libraries. Makerspaces are open community labs for peer learning and knowledge sharing that incorporates machine shops, workshops, and studios. It is used by members to work on their individual projects or to collaborate on group projects and can take the form of workshops, presentations, and lectures. 3D printers and collaborated open source resources, such as Open Source Ecology, are increasingly being used in such community oriented projects as a springboard for innovation. This kind of approach has been promoted as a new kind of industrial revolution, potentially restructuring the current economic system heavily reliant on global mass industries, to a system that has decentralized, collaborative, local industries. You can otherwise have a local entrepreneur do this step for you, such as spinners, weavers, butchers, carpenters, and candle makers. This also boosts the local economy – a main reason to support local businesses as opposed to franchises and chain stores. If you can’t find a local entrepreneur, you can become the local entrepreneur. Ecological diversity needs to be maintained for the community’s health and well being as it stabilizes and adds resilience to the environment. This reduces or even eradicates flood and drought events and increases nutrient density, preventing disease from spreading – including between ourselves and the livestock and plants we are cultivating. So planting appropriate species to build up ecological diversity and preserving wild spaces already present is of great value. These wild spaces can also be a resource for food or medicine. The act of doing so is called wildcrafting which has basic guidelines of taking no more than a third of what is there, and taking only the fruit, flowers or branches from plants. Otherwise, plant the seeds of the plant harvested. This ensures there is always plenty left for the future. All these local collaborative approaches are equivalent to the tribal approach. Where the communities organically develop a culture revolving around supplying themselves with their immediate environment. The next sphere of influence is from your immediate region of farms, forestry, and mining. This is the first level of needing open information to find out whether or not human rights and ecosystems are preserved and sustainably resourced. If not you can make public appeal to governing agencies to ensure that this is the case. This is especially effective when it comes to elections where you can support campaigning efforts of the ideal candidate for these issues. If there isn’t a candidate that would ensure this, enter yourself as a candidate and garner support from the voters of your region. The next level is your nation which has the same approach in source and causing change with respect to those sources. Following that level is neighbouring nations, then staying on the same continent, then the rest of the world. These being much more difficult to ensure human rights and ecosystems are preserved, and is sustainably sourced. This is not to say that a global economy is bad, it can even be better to get certain supplies from abroad if that item cannot grow or be sourced where you are, but still use; is native to that area and is part of traditional living there. Things like cinnamon, peppercorn or vanilla. By supporting sustainable practices abroad you can help preserve biological and cultural diversity all over the planet. If there is no way of getting ethical supplies for more exotic or resources rare for where you are then there are a few options: lobby your government to only allow trade with nations that preserve ecological diversity, are acting sustainably and protect human rights; Vote with your money and only spend your money where these issues are upheld – including the investing of your banking institution; and support human rights and environmental protection efforts in the communities these resources are from. It is through analyzing the impacts of worldviews throughout human history we can learn how to prevent unfavourable occurrences from repeating themselves and promote what has shown to be beneficial to a limited earth. We can have resources without being detrimental to the environment through local cultivation of forest gardens and trade that supports human and environmental rights; We can have innovation without wars of conquest through scholarship, trade, and exploration; We can have industry without exploitation through decentralized, local, collaborative industries; And we can all equally have affluence and influence through mutual respect of human rights. By supporting local communities and cultures throughout the planet with sustainable, biodiverse, open trade, you end up supporting tribal globalization (a culturally diverse planet, where each culture is reflective of their environment instead of a corporate supply system). And by promoting and sharing knowledge freely you prevent a reversion to a smaller worldview that usually is accompanied with conflicts with neighbours, stratified social structures, and tyrannies, thus enabling more peaceful relations and increase quality of life for all. With this kind of approach we can maintain a planetary worldview that keeps the ecosystem healthy for all life on earth. like the Ehoah Bioregional Quiz.